Dubai our Sandbox: The Color Run 2017 - We have signed up to the Happiest 5k on the Planet! Join us! The Color Run 2017 - We have signed up to the Happiest 5k on the Planet! Join us! We have signed up for The Color Run 2017! Very excited to take part for the first time in the Happiest 5k on the Planet! The Color Run presented by Daman’s ActiveLife returns to the UAE this November and we are ready for the fun family challenge. 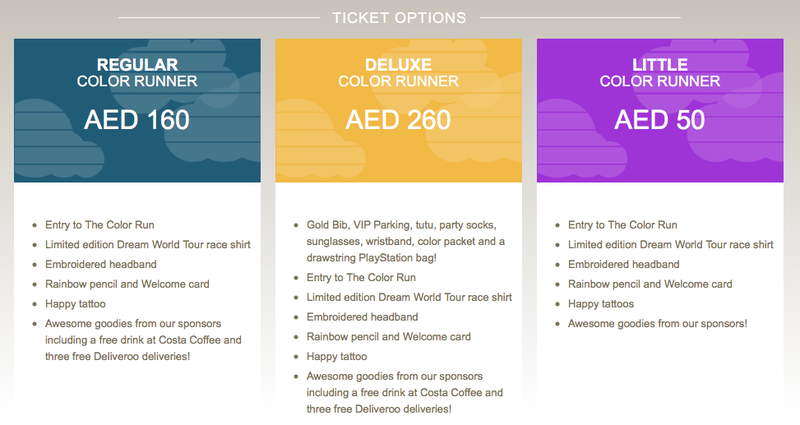 The Color Run, will take place on Saturday 11th November at the Dubai Autodrome. After a surprise visit from the Runicorn, the girls and I are so looking forward to this fun family day! Join us it's gonna be wild and colourful! 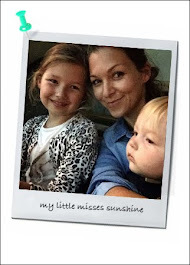 We won't be running much with little Jo but we will skip, hop and dance our way to the finish line... (and I'll have the buggy because realistically no way my 3 years old is gonna walk 5k). The Color Run participants will be covered from head to toe in an array of colour in the Color Zones along the 5k route. Runners can show their aspirations on the Dream Wall, snap selfies with giant unicorns, and enjoy the ultimate color party with family and friends at the Finish Festival...including the famous color throws! 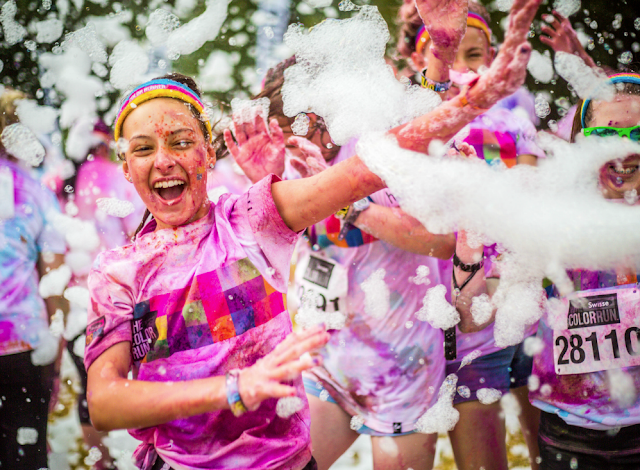 New this year, the Foam Zone, where foam clouds make everything better and more fun! Kids are gonna love it! 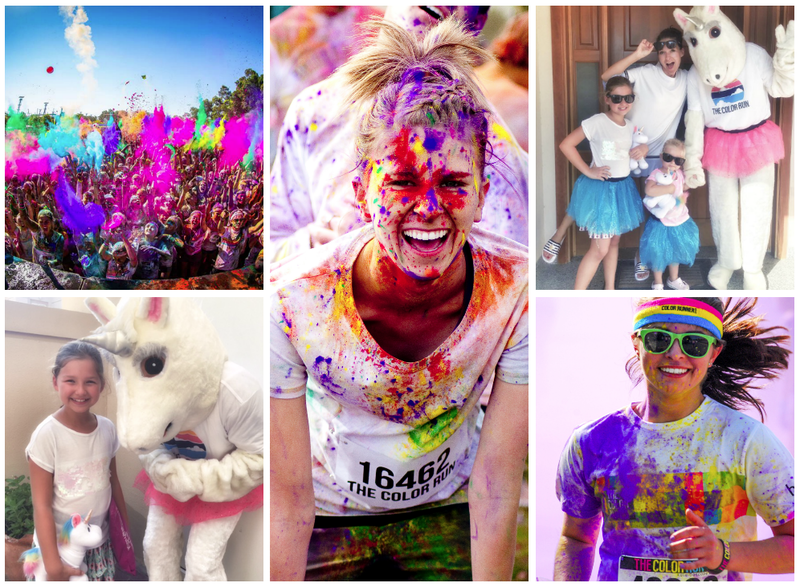 Each Color Runner will receive a fun participant kit, which includes; a limited‐edition Dream World Tour race shirt, embroidered headband, a fun temporary tattoo, welcome card, rainbow pencil and some awesome goodies from sponsors. Deluxe Runners will receive the kit plus a Gold bib for VIP Parking, a wristband, tutu, party socks and sunglasses for the ultimate Color Runner look on the day. Luella and Josefin are very excited to get ready in their tutus and most colorful outfit, for a fun day with friends, family and unicorns. Join us and how to! The Color Run has become a global phenomenon, continuing to innovate the 5k paint race genre each year. The Color Run has been experienced by over 6 million people worldwide in 35+ countries and has donated a staggering $5 million dollars to charity to date. Tickets are on sale at www.colorrun.ae and Reebok stores in Dubai Mall, Dubai Marina Mall, Mirdif City Centre and Yas Mall in Abu Dhabi.